The invention of a new small plastic pouch that releases chlorine dioxide gas to eliminate E. coliand other pathogens from the surfaces of fruits and vegetables is among the new nutrition and health findings in the latest issue of the Agricultural Research Service’s (ARS) Food and Nutrition Research Briefs. A heat-tolerant broccoli could be on the horizon since ARS scientists have identified genetic markers associated with heat resistance and characterized the genetic sources of broccoli’s ability to tolerate heat stress. Encountering high temperatures is the main factor limiting where and when broccoli is grown. One cup of broccoli provides more than 100 percent of our daily requirement for vitamins C and K and is a good source of fiber, vitamin A, folate, and potassium. 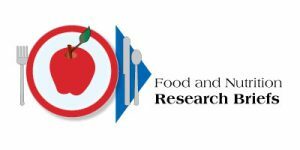 ARS Food and Nutrition Research Briefs is offered with color photos and illustrations on the Web. And by clicking the “subscribe” link on the newsletter’s home page, readers can sign up for either of two e-mail options: They can receive the full text of the newsletter by e-mail or simply an advisory when a new issue has been posted online.